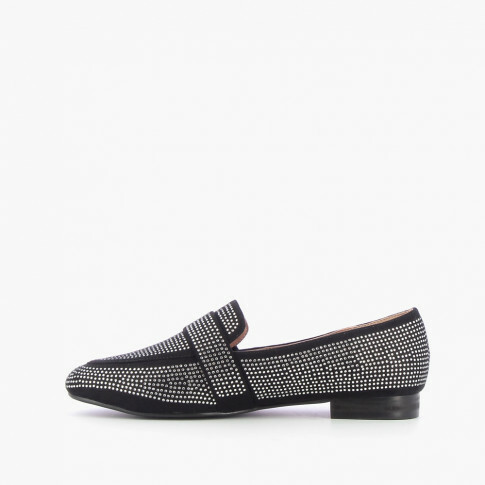 Black suede-effect loafers with all-over rhinestone finish. 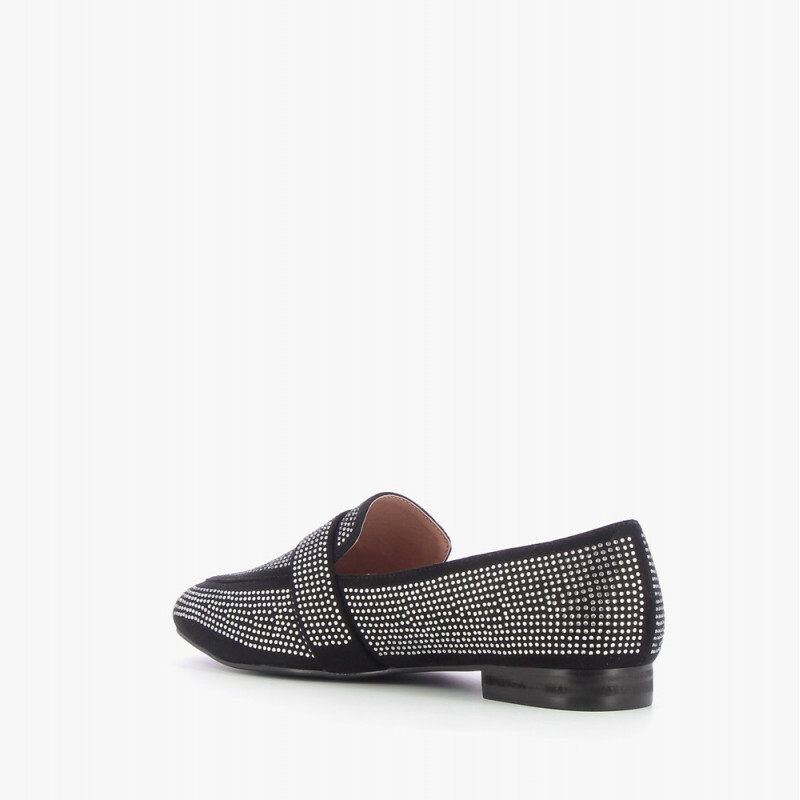 Strap across front, almond-shaped toe. 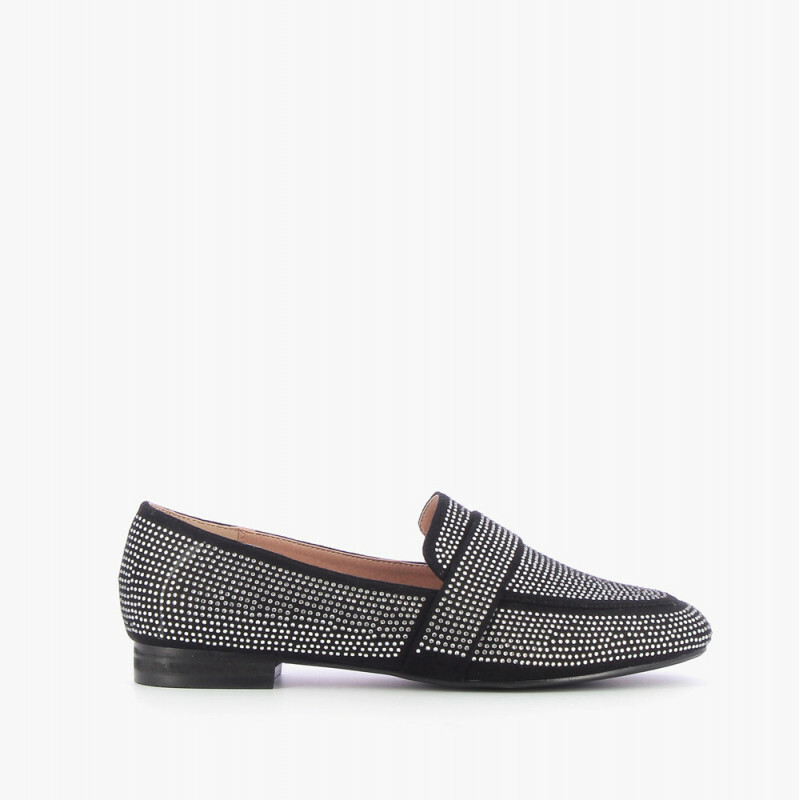 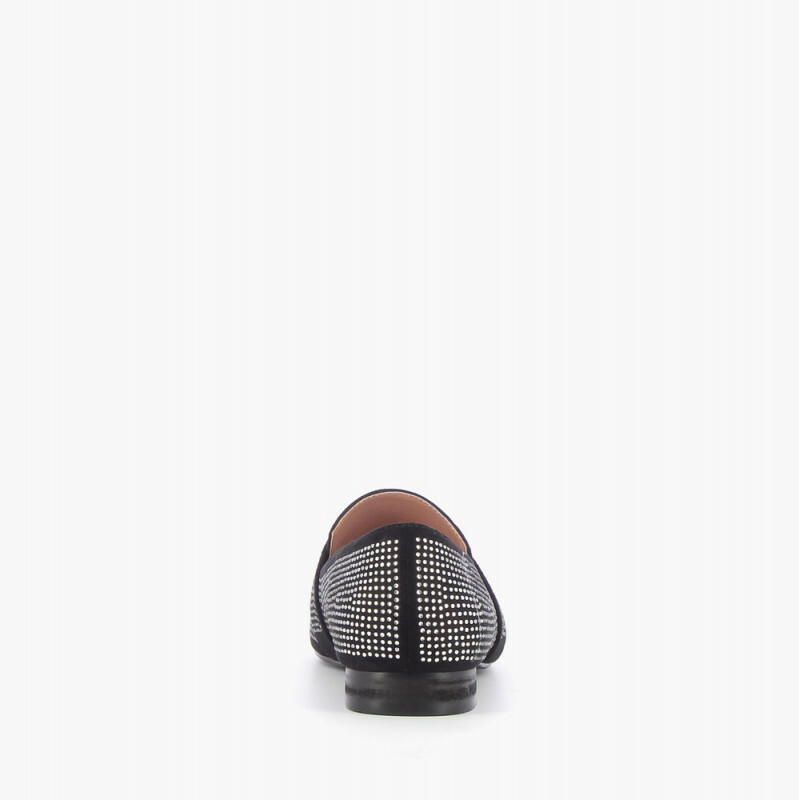 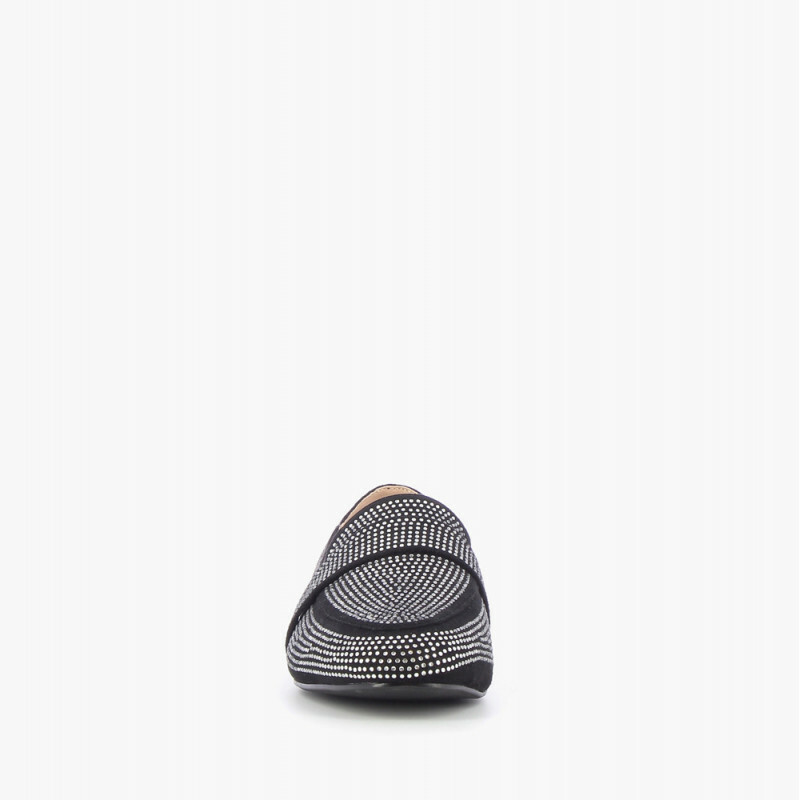 Vanessa Wu's detail: the classic loafer shape teamed with funky rhinestones. 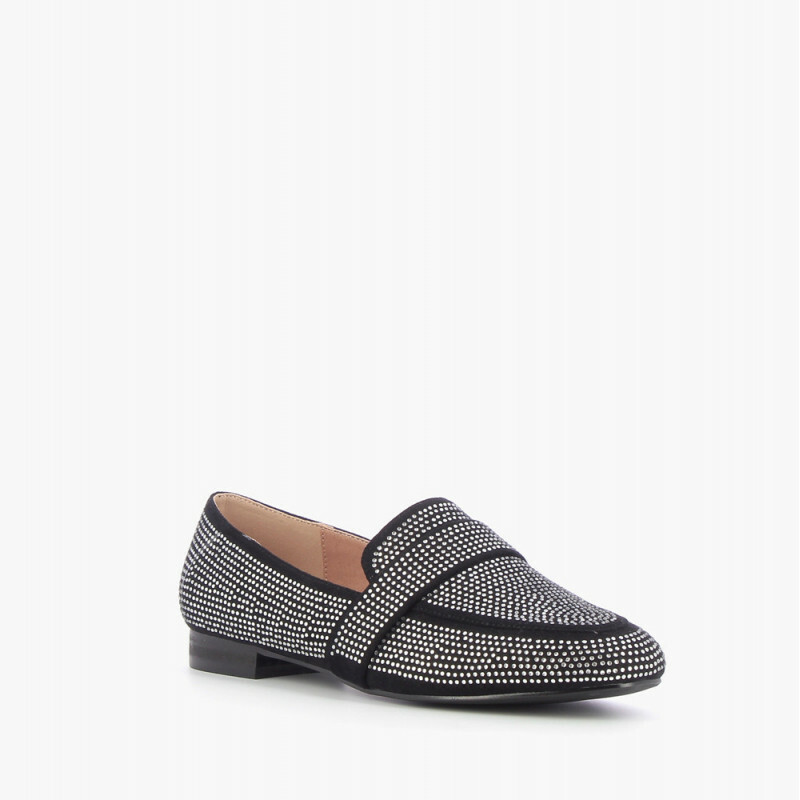 Copy the Inès de la Fressange look by teaming rhinestone loafers with 7/8 length trousers and a silky shirt: classy and original.